Trucking Loads Across The U.S. Piazza Trucking works with major corporations servicing the Aerospace, Oil, and Energy industries. GPS Equipped Fleet We have a wide range of equipment capable of hauling any load up to 200 Tons. Heavy Haul Trucking Company Established in 1953, Piazza Trucking has the knowledge and experience to ensure your job is done right and on time! Our Heavy Haul Team at Piazza Trucking is highly trained to bring the largest loads where you need. Over-weight shipments, which is also know as heavy haul, require careful logistics to ensure safe and on-time delivery. Piazza Trucking has been providing Heavy Haul services for over 60 years with the best heavy haul transportation equipment in the industry. Piazza Trucking has been a California Entity since 1953. Since that time, Piazza Trucking, a family-owned corporate business has demonstrated consistent growth within the company itself in that clientele it serves. The corporate headquarters/terminal is in South Gate, California, with separate offices/terminals in Kaufman, Texas and Houston, Texas. 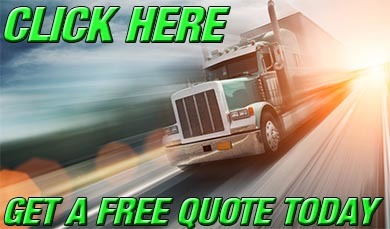 Piazza Trucking has been in business for over 60 years specializing in Heavy Haul Services. This experience provides our clients with unsurpassed knowledge and skill in handling sensitive, heavy, and expensive cargo. We can accommodate shipments in excess of four hundred thousand pounds and handle all logistics that go along with transporting any item that large (Pilot cars, Police Escorts, Permits, etc.) We provide a 24 hour dispatch service and can typically get our equipment nationwide within 24 hours since we have 3 convenient locations to serve you. Here at Piazza we are highly experienced with all different kinds of transportation. We have everything from half ton pickups and shipping vans for small items, to thirteen axle and dual lane configurations able to haul up to 225 tons. Our drivers have all the necessary certifications to access any ports or military facilities. This has enabled us to haul items from rail or boat with ease and has also awarded us the opportunity to work with many large companies. Piazza Trucking has facilities in Los Angeles CA, Houston TX, and Kaufman TX, that enable us to provide an exemplary local transport service along these routes. We have an inventory of over 200 tractors and trailers to accommodate any standard shipping needs. Whether you need a CNC machine moved from one shop to another or you have a 20’ tall vessel, we are sure to have the truck and trailer combination to fit your needs. For smaller items we also have a fleet of bobtail trucks and enclosed vans that are eager to serve any local transport needs. Piazza Trucking is able to warehouse anything from small industrial supplies to large autoclaves or turbines. We offer both indoor and outdoor storage along with pick up and drop off of stored items. Our storage facilities are located in Los Angeles CA, Houston TX, and Kaufman TX. With our close proximity to multiple US ports Piazza Trucking is an expert in Container Drayage. Our Los Angeles yard is able to service the Long Beach, Los Angeles, and Hueneme ports while our Houston yard services the Port of Houston. Our tractors are Clean Air Certified in addition to being port registered. All of our port drivers are in possession of TWIC cards and we retain all terminal interchange agreements. All of these factors combined with over 60 years of experience ensure your freight will be moved in a responsible and timely manner. Copyright @ 2019 Piazza Trucking Inc.